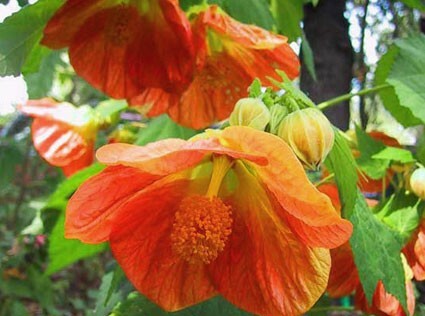 Erect woody stems festooned with spectacularly big nodding blossoms of festive tangerine; this "Giant Chime Flowering Maple" can be kept as a modest heavily flowering pot plant, or encouraged to easily reach 8' --thus perfect for training into standards or for backgrounds in the deep south. 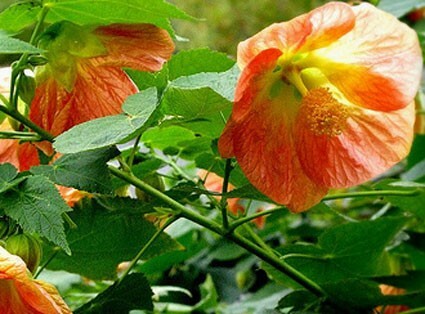 Blooms for a very long period (as is sterile) and is often trained as a tropical, nearly everblooming, shrub. 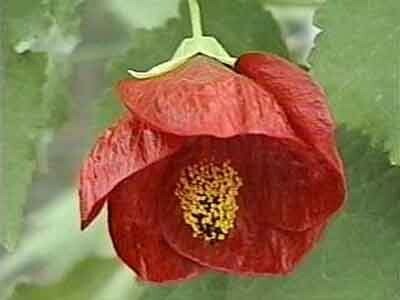 It also can be easily scaled down with carefully considered pruning of the central leads. 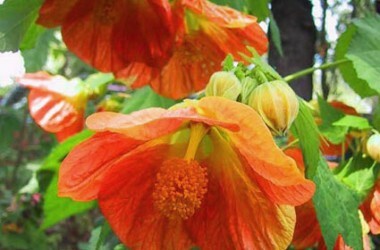 This is the only Abutilon our customers report reasonable success with reliable flowering even when grown in less than full sun. Very large statured.